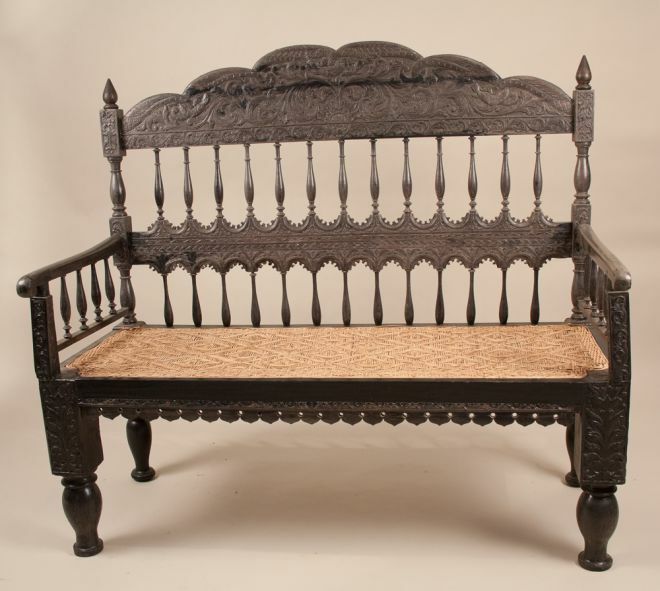 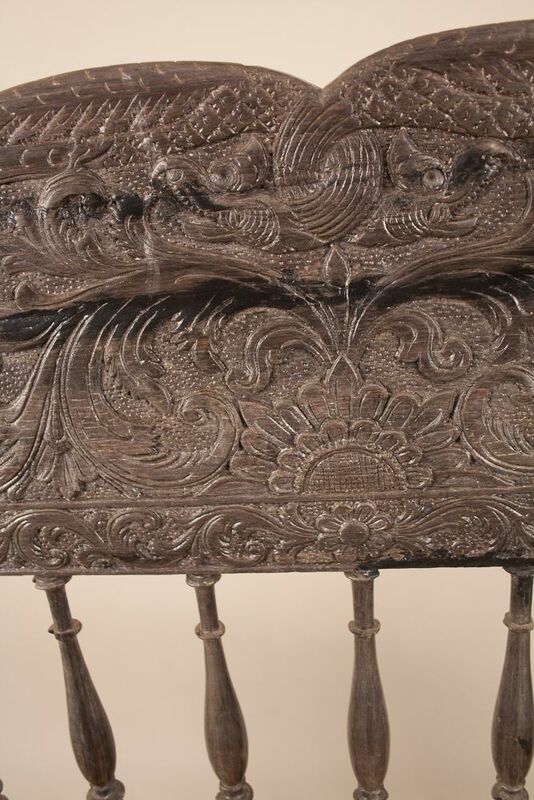 An elaborate hand carved Indo-Portuguese settee from Goa, circa 1910. 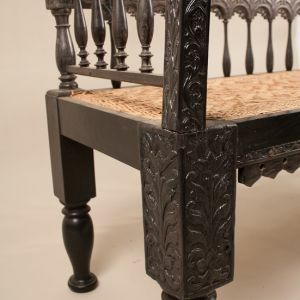 Crafted in ebony and ebonized wood, this two-seat caned bench stands strong on turned legs and has a two-tiered spindle back and arm rests. 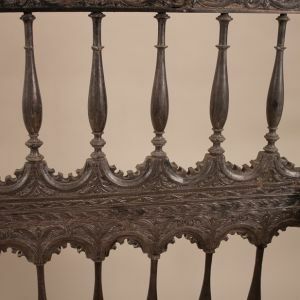 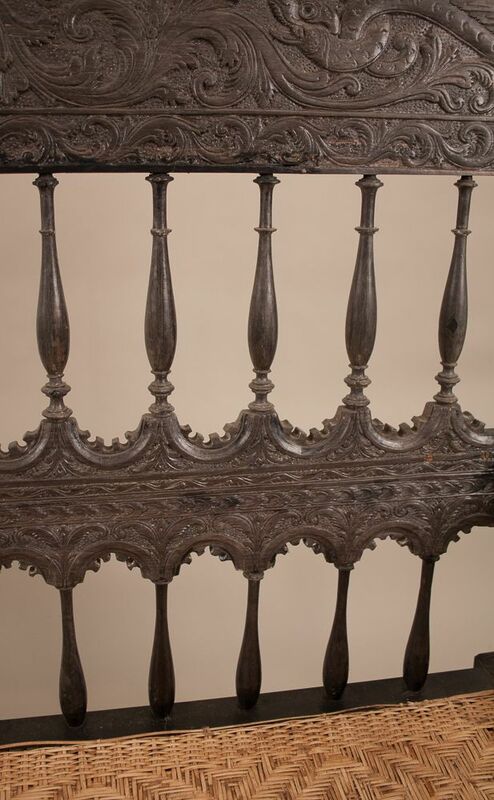 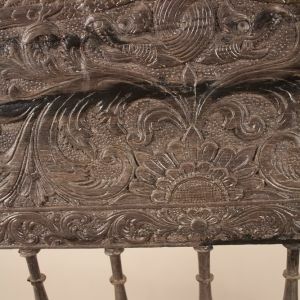 The piece has carved details on front and back, with the scalloped top rail richly carved in a floral/lotus motif with serpentine relief. 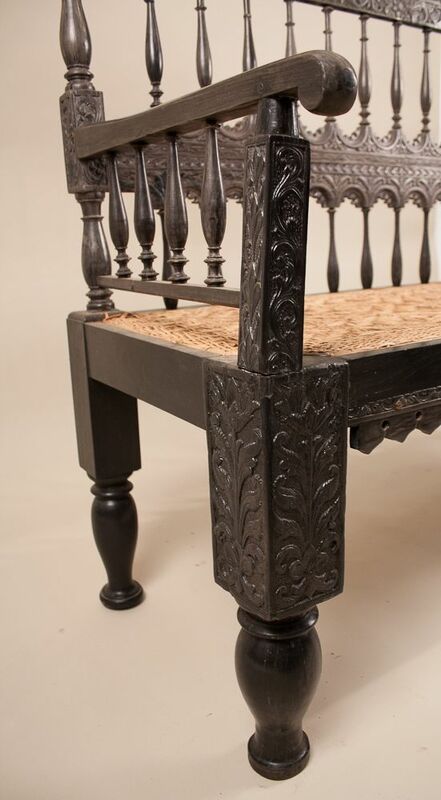 The settee may require some restoration.